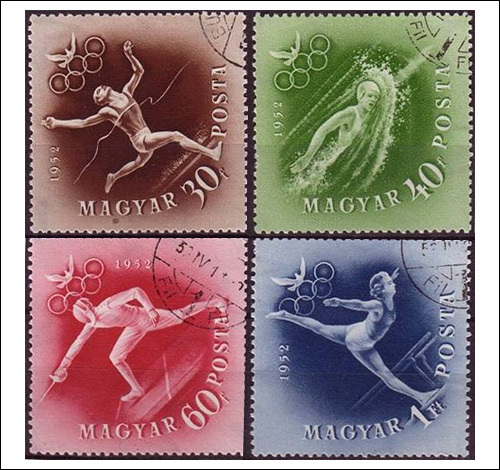 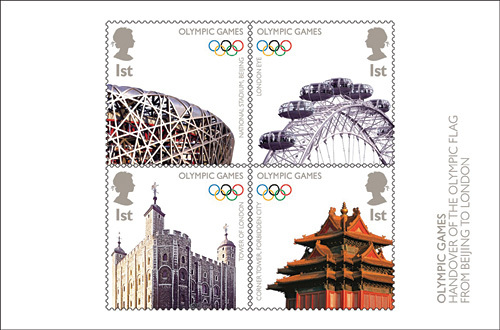 We begin our display of Olympic Stamps with the 2012 Summer Olympic Games which begin on July 27th and end on August 12, in London, England. 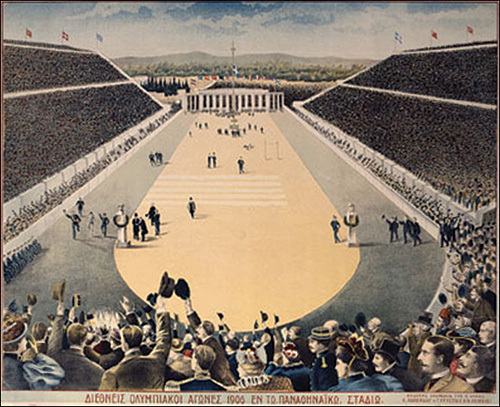 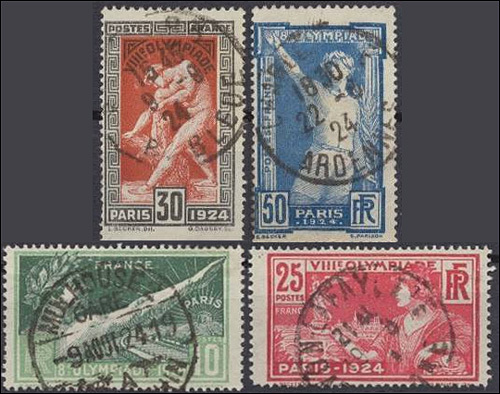 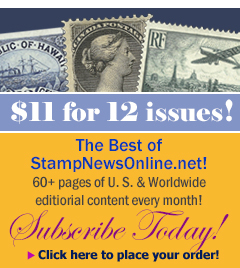 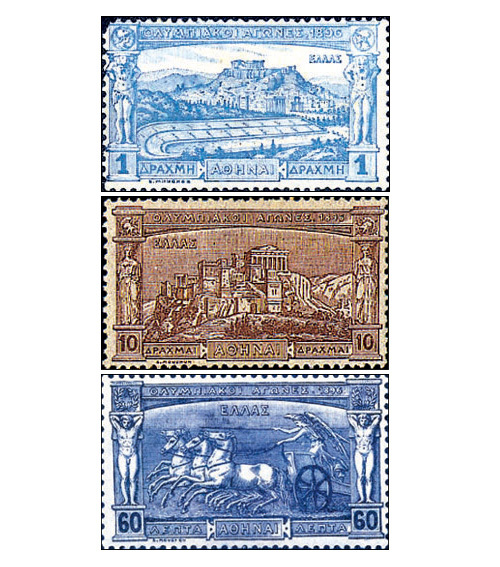 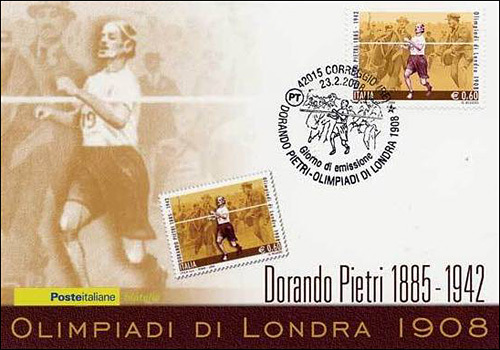 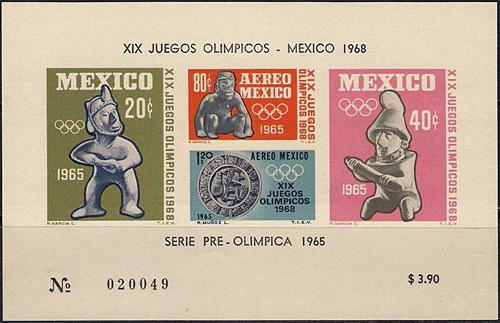 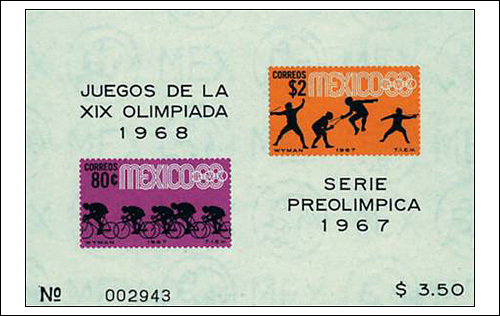 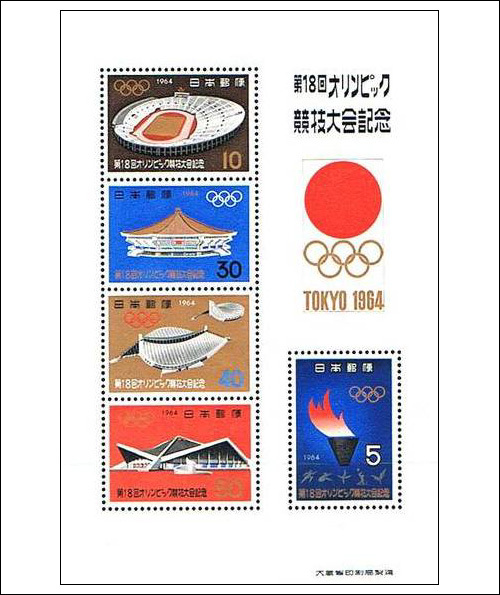 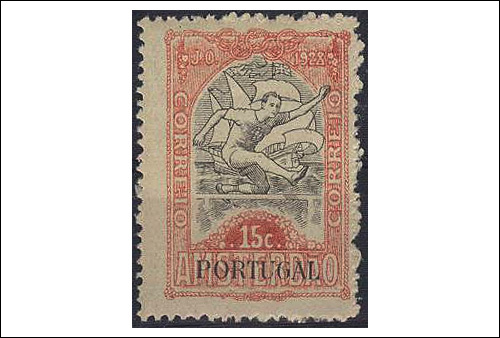 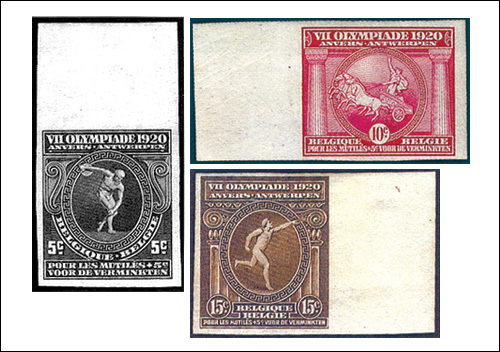 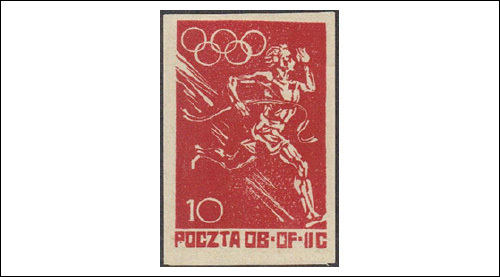 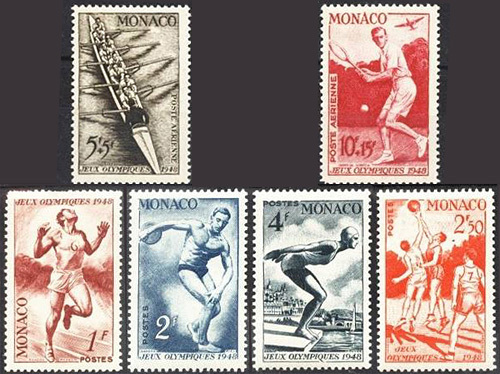 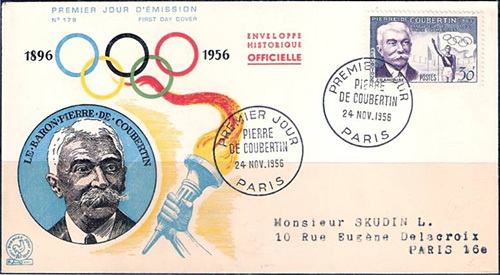 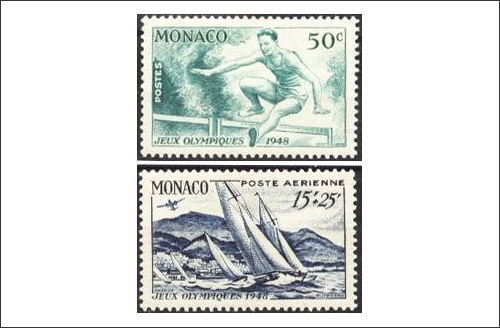 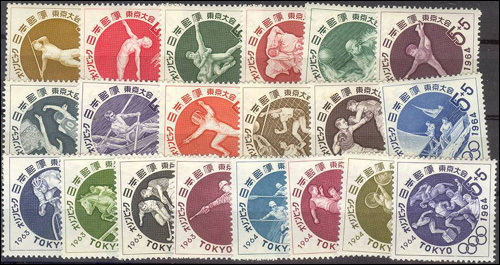 Following the 2012 games we jump to the first Modern Olympics which began in Athens, Greece in 1896, followed by a collection of stamps from various Olympics through the 1968 Olympics in Mexico City. 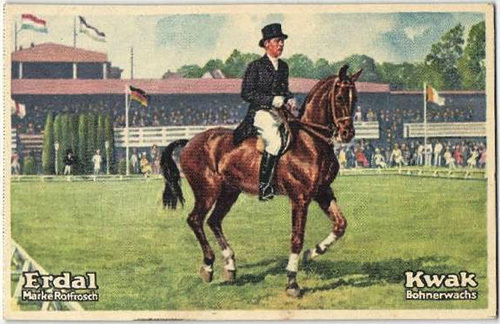 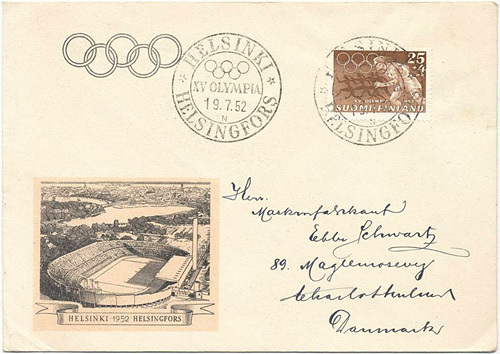 1912 Stockholm, Sweden - 1912 Summer Olympics, SWEDEN ARTIC CIRCLE 1952 - 40th ANNIVERSARY OF THE OLYMPIC GAMES STOCKOLM 1912 For the 1912 Stockholm Games, a promotional Poster stamp in German. 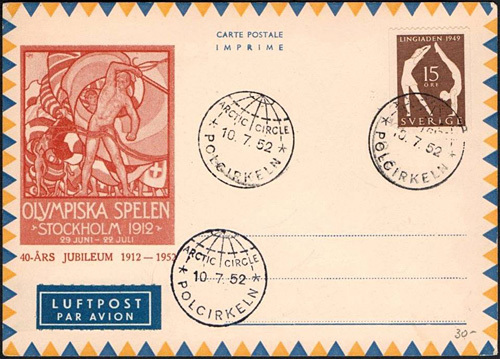 Of special interest, the Games is misspelled "Spelen" (the Swedish spelling) instead of "Spielen" (the German spelling). 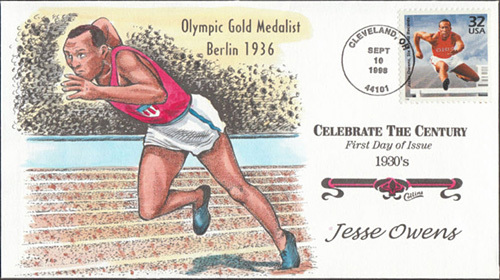 There are only two known examples of this spelling error. 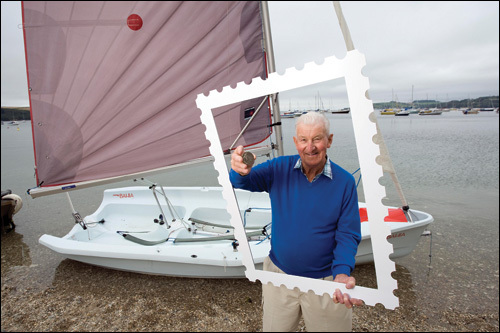 Do you have any Olympic sailing memorabilia? 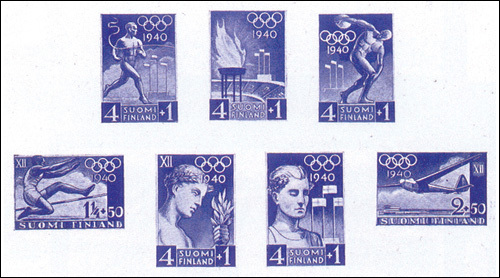 Paavo Nurmi lights the fire at the Olympic games in Helsinki 1952. 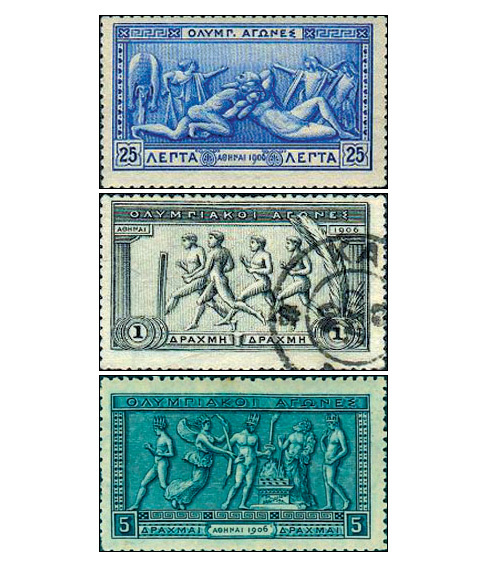 1960 Rome, Italy - Greece: The future Constantine II , King of Greece , won his country a gold in sailing Dragon Class.